Santander have over 14 million UK customers. With interest rates at historic lows many of them wanted to make their savings work harder. 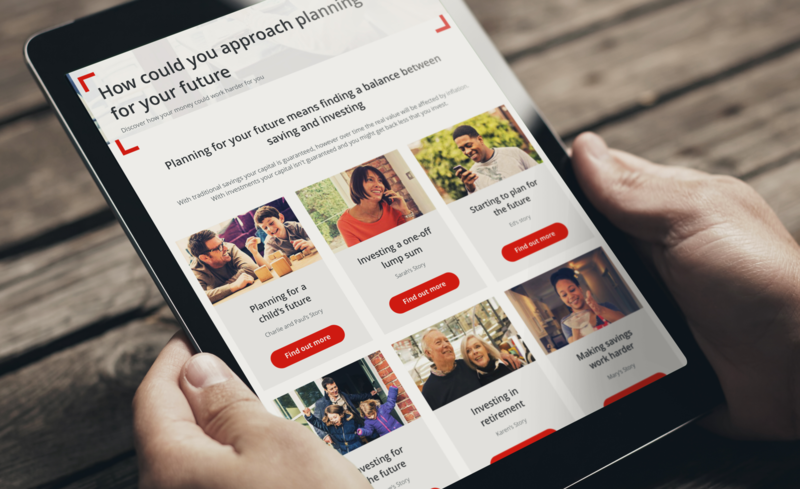 So Santander successfully launched a new investment hub giving customers direct access to a wide range of funds. But providing the tools to invest is just one part of the problem. The other is building your customers investment understanding so they have the confidence to invest. That’s the challenge we were set. Whatever the solution, the one thing it couldn’t offer was specific advice – simply overall guidance. 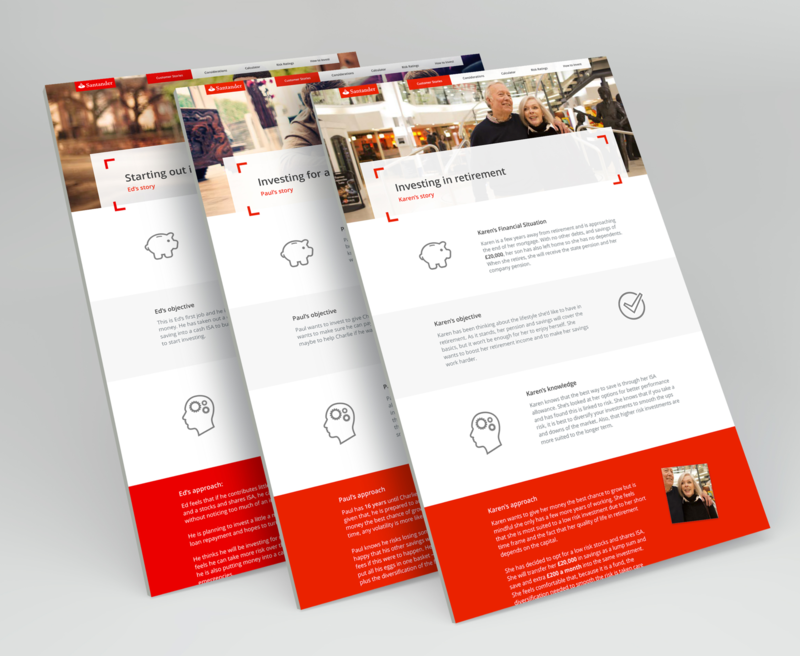 So we created a range of customer stories – each one focused on a particular investment objective. 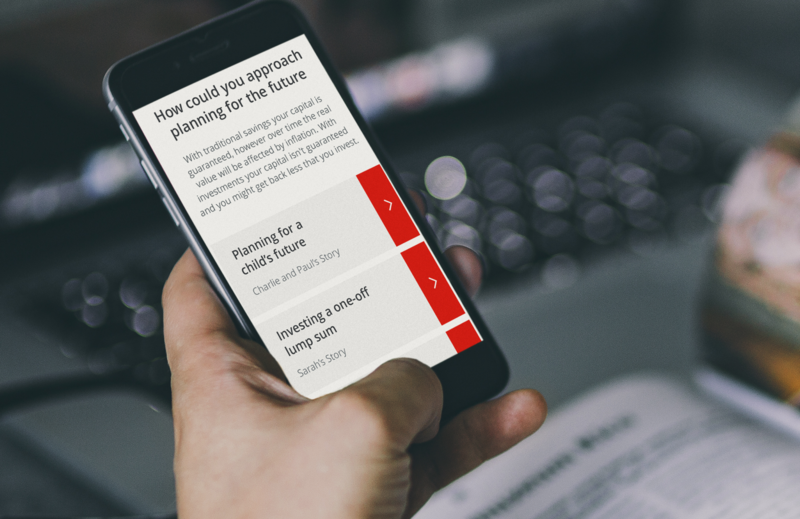 Each customer story outlined a particular financial situation, objective, knowledge and the investment approach they decided on. These stories proved the perfect way to enlighten customers without straying into personal recommendations. 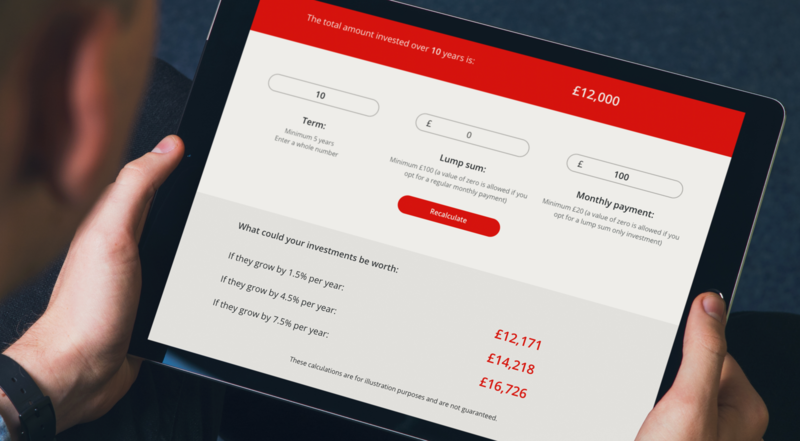 Along with the stories we created a guide to investing, an investment calculator and clear instructions on how to get started using the Santander investment hub.